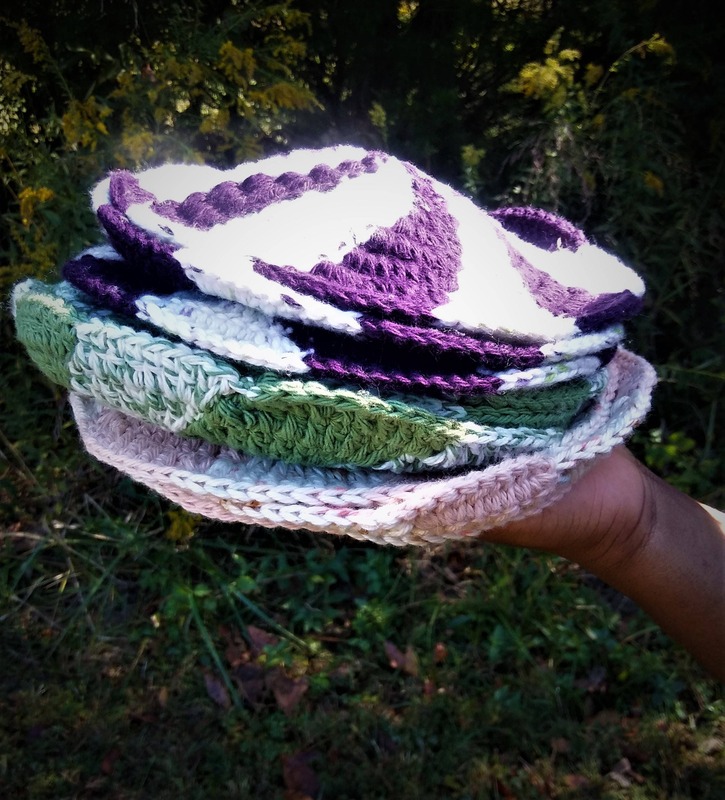 These cute dishcloths come in a set of 3 and are made with a 100% cotton yarn. They can also be used as hot pads and can be stored inside of nonstick pots and pans to keep them from becoming scuffed by other pots pans. 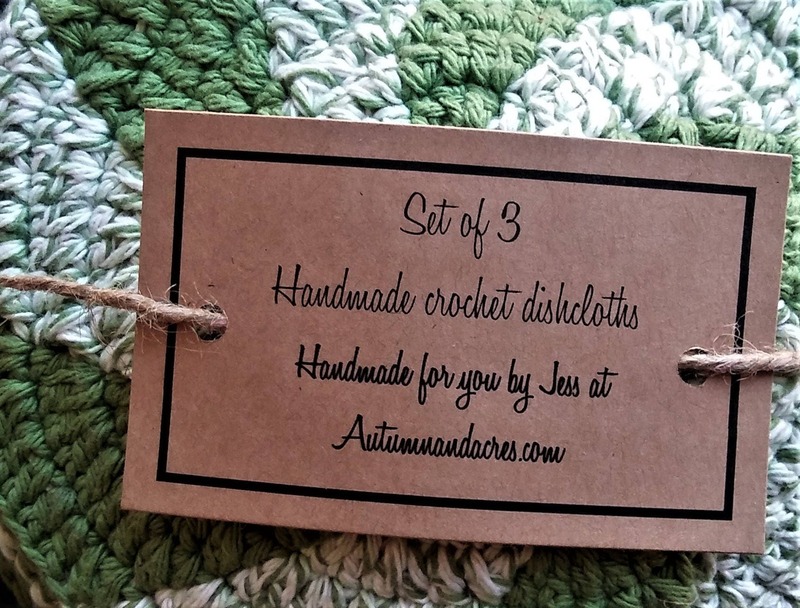 This set is called Green apple and are made with an almost olive green cotton yarn and is accented with a white and green speckled yarn. 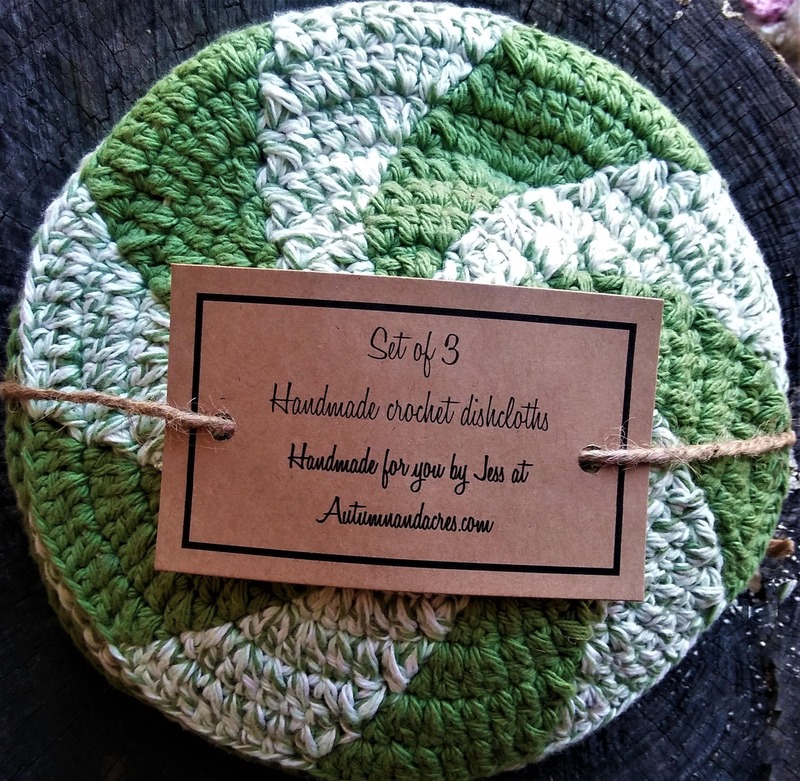 They would be a great housewarming gift or a gift for anyone who appreciates homemade dishcloths. 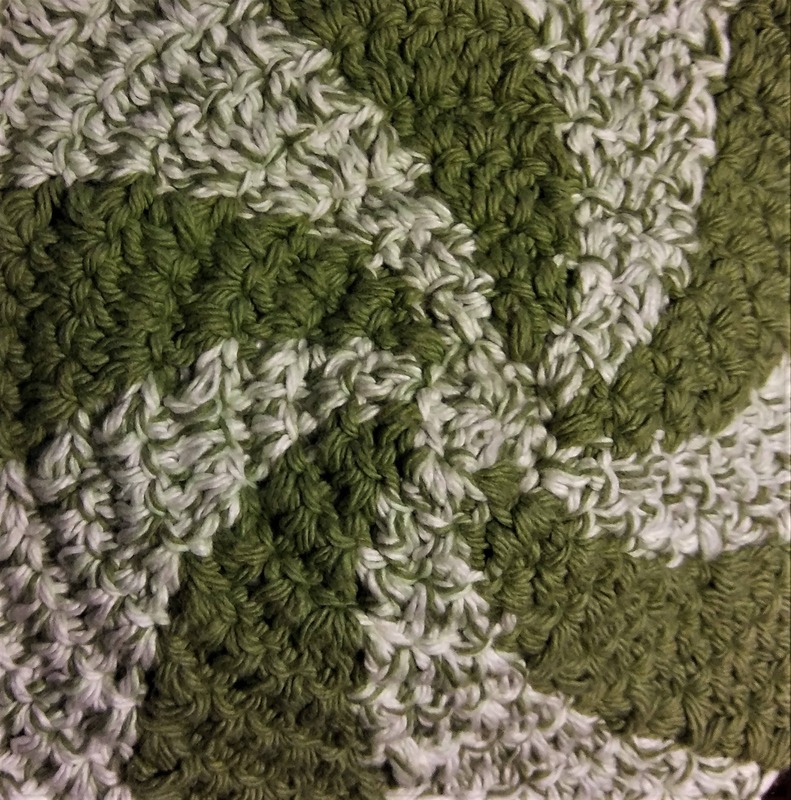 I had previously purchased the dishcloths in green, and I love be them. The only thing that could make them better is if they were blue. I asked if that could be done, and it sure can! When they are dry, they kinda curve up a little. That gave me the idea to use these when microwaving stuff. I put one under the bowl in the microwave, and then I can take the bowl and dishcloth out without burning my hands. If I’m not sitting at a table, the cloth protects my hands while eating, too. Don’t hesitate to ask for a custom item. She is very accommodating and quick to respond. 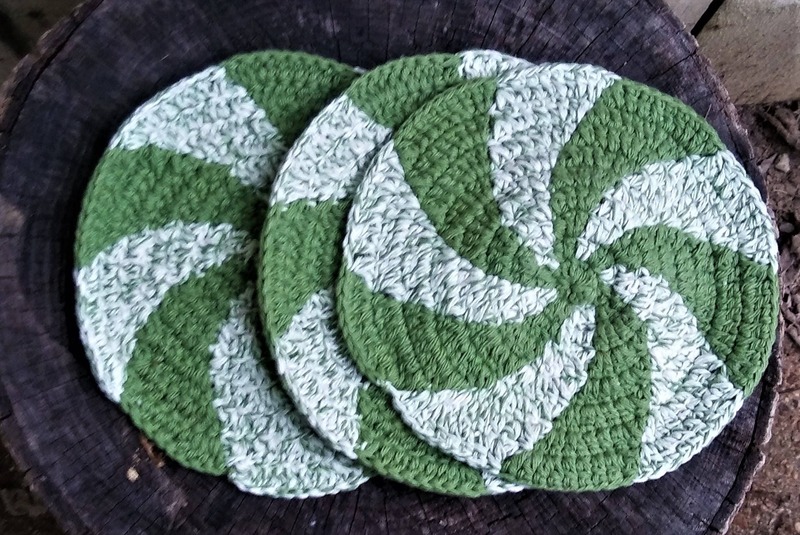 I love these dishcloths! They're quite sturdy, yet pretty.